Nair’s defence believes there may be some bias from Gcolotela because she said Nair did not seem ‘remorseful’. Former Durban councillor Kessie Nair’s defence is demanding for the magistrate who denied him bail to recuse herself for insinuating that Nair was not remorseful. Kerusha Ariyan told the Verulam court on Thursday that she was unhappy with Gcolotela indicating that she was unhappy with Nair’s conduct during the bail application, claiming Nair did not appear remorseful. Nair has been sent to a mental hospital for evaluation. Ariyan believes the magistrate had made up her mind pretrial. Gcolotela postponed the matter to November 21 to decide on the recusal application submitted and Nair’s new bail application. Nair first gained notoriety for making racist comments about President Cyril Ramaphosa. His family alleged that Nair has had a history of mental illness and his brother Krishnan Nair even testified. 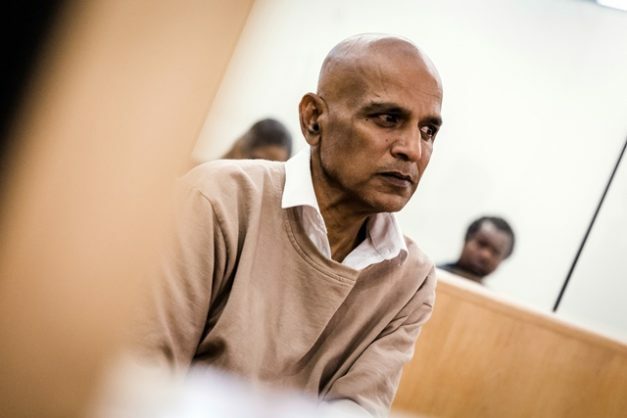 Nair appeared in the Verulam court on six counts of crimen injuria and two counts of incitement and instigation. He was arrested in Durban by the Hawks after a criminal case was lodged against him at the Bayview police station by former eThekwini councillor Brandon Pillay. Nair is an ex-convict who claims to also have links to the 26s prison gang after serving time in jail for corruption. Nair had claimed Ramaphosa was mocking Mandela’s legacy and that he was prepared to go to prison or to even be shot.